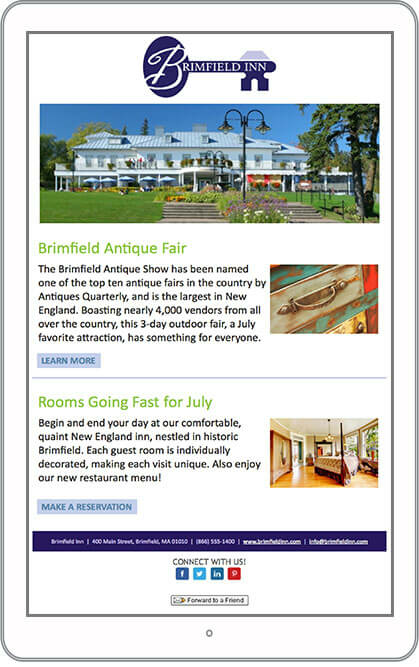 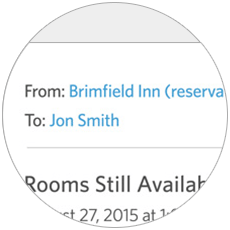 Email’s the easy way to drive reservations from previous guests and bring in new guests. 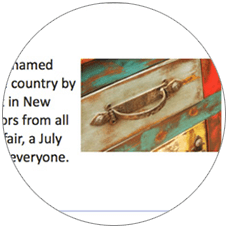 Get content ideas, examples, tips and success stories from businesses like yours to show you how. Share last minute availability at a bargain to get openings booked. 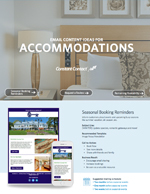 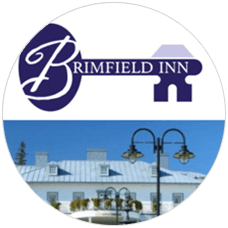 Announce upcoming seasonal and holiday availability and specials to drive bookings and email sharing. 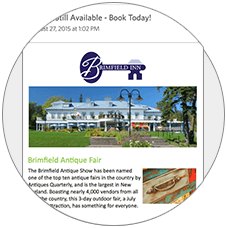 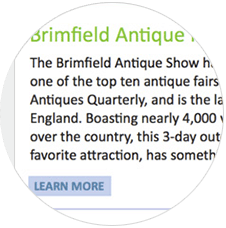 Promote upcoming events to drive bookings and email sharing. 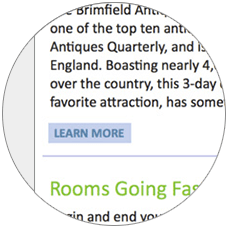 Share top things to do and see in the area to encourage bookings and email sharing. 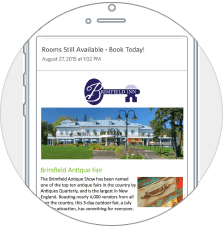 Share updates like renovations, new features or new guest reviews and photos to drive bookings and email sharing.